The overall single-family home market on the Palos Verdes Peninsula remains robust and steadfastly entrenched in a sellers’ market as we head into the autumn months of 2016. However, sales of luxury properties priced above $3,000,000 are in a neutral market and tipping toward a buyers’ market. Yes, there are markets within markets and it’s important to know where your property falls and what is happening within that particular sub-market. 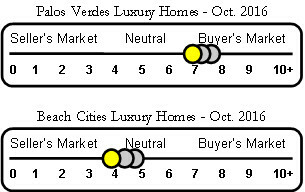 I try to make it easy for my clients and customers to track trends in the local Palos Verdes real estate market. Very few of my clients want to spend time deciphering complex graphs and charts. 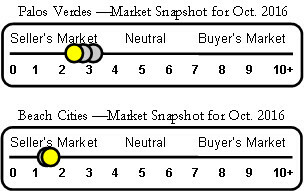 Welcome to Charlemagne Int’l Properties “Little Yellow Dot” Market Snapshot. 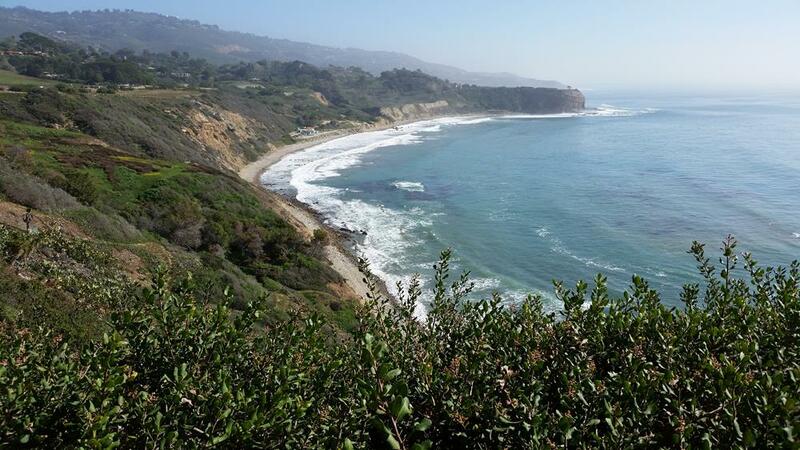 210 Palos Verdes single-family homes are currently for sale. 95 Palos Verdes single-family residences are in escrow with accepted offers. 526 Palos Verdes single-family houses have sold year-to-date as of October 1, 2016.